These haunting portraits of long-dead men, women and children come from a vast region known as the Fayuum Basin, located immediately to the west of the Nile south of Cairo. Watered by canals diverting the Nile river, this sprawling oasis is one of the most fertile region in Egypt with rich agricultural land and a large saltwater lake that has been providing the local population with fresh fish since ancient times. It was in Fayuum where farming first developed in Egypt, and during Roman occupation, Fayuum was one of the breadbaskets of the Roman world. 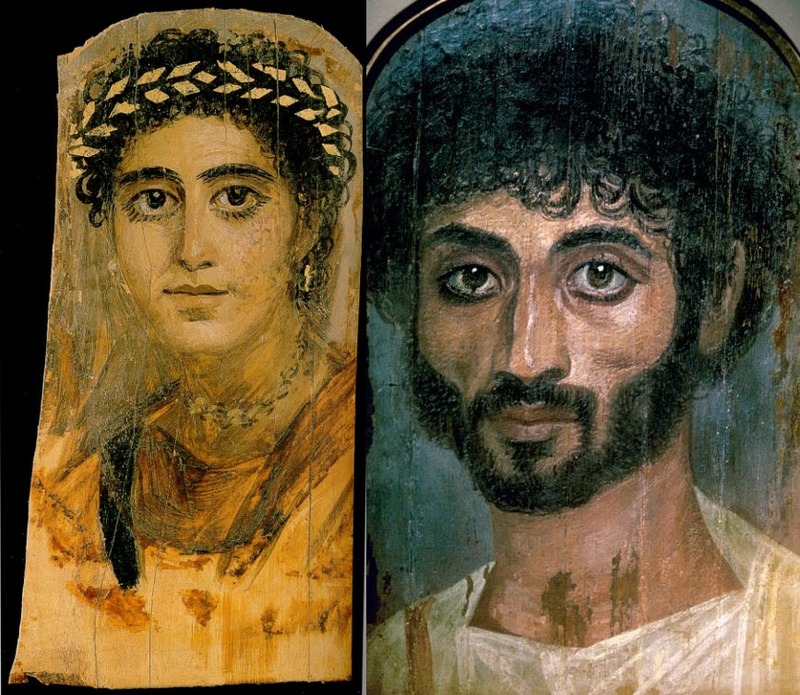 It was also during this period—from first through the third century AD—a unique art form developed and flourished in Roman Egypt—mummy portraits. 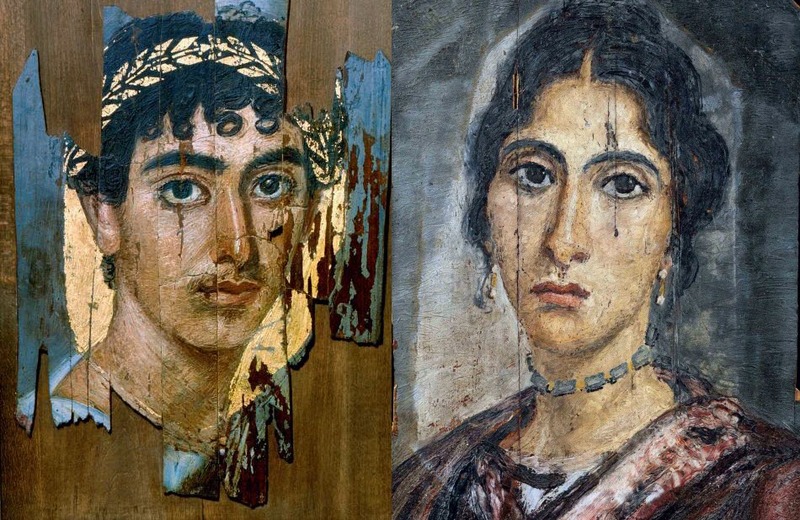 For three centuries, the people of Fayuum not only embalmed their dead but also painted a startlingly realistic portrait of the deceased, in wooden boards, which they placed over the mummy wrapping like a mask. The portraits always depicted the subject from mid-chest level. The head would be slightly turned towards the viewer and big soulful eyes gazing straight back. 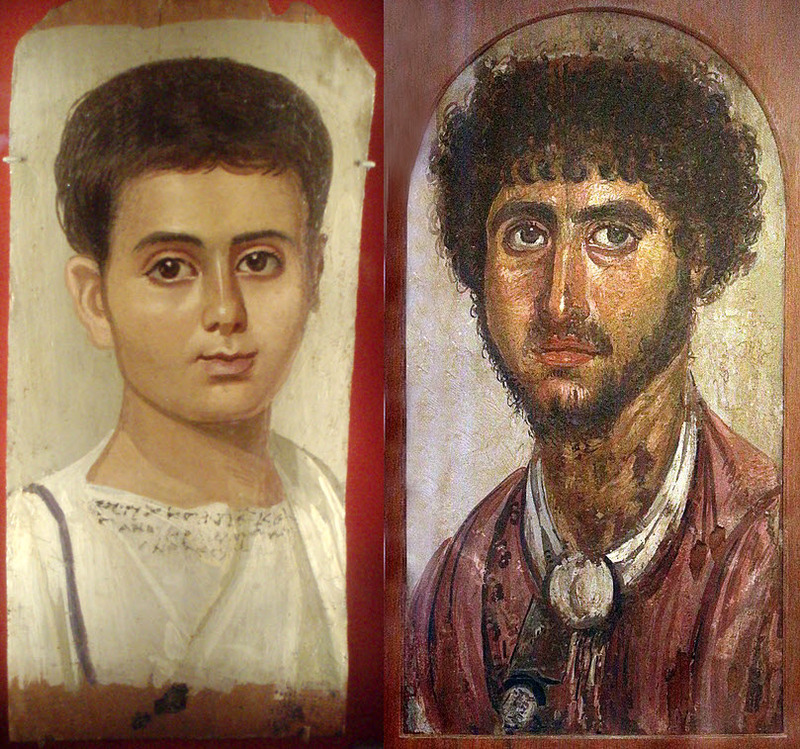 From the realistically rendered shadows and highlights, one can tell that the portraits were lit often with a single source of light which have caused many to suspect that these lifelike images were painted while the people were still alive, possibly for the sole purpose of adorning their mummy. The artistic style has been described as Greco-Roman. 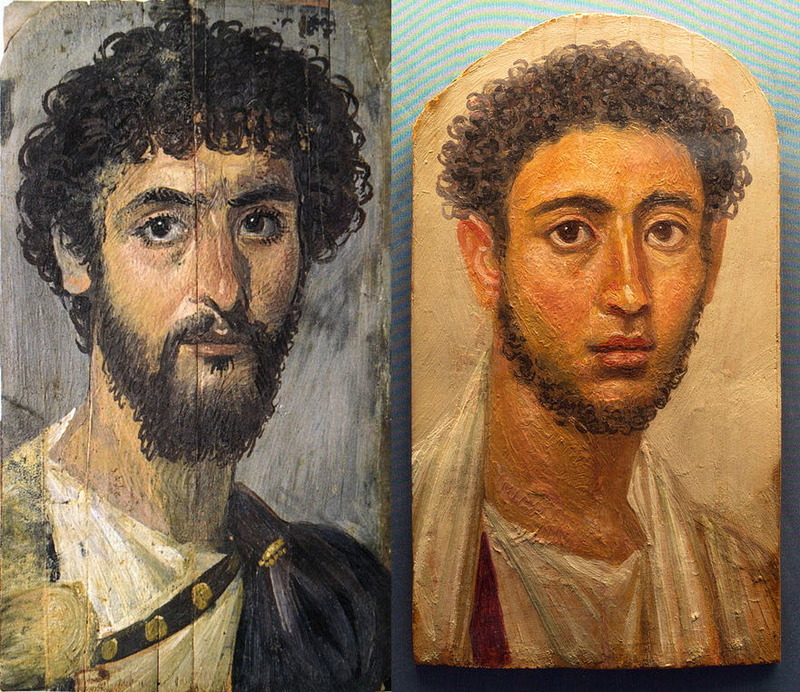 Although not many paintings from this era have survived, scholars know what they looked like from literary descriptions. In fact, these portraits represent the richest and oldest collection of portraiture to have survived from anywhere in the world. They provide us with a window into a remarkable society of peoples of mixed origins that flourished 2,000 years ago in Faiyum. 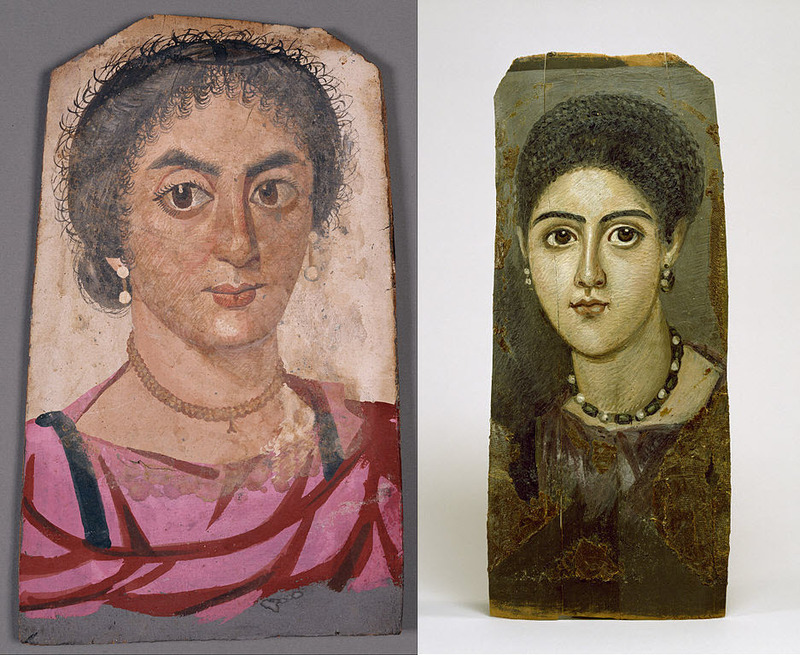 Mummy portraits were first dug up from a graveyard in 1887 by British archaeologist Flinders Petrie. Petrie was excavating at the pyramid at Hawara in the hopes of finding tombs from the third millennium BC. Instead, he uncovered a first-century BC Roman-era cemetery. 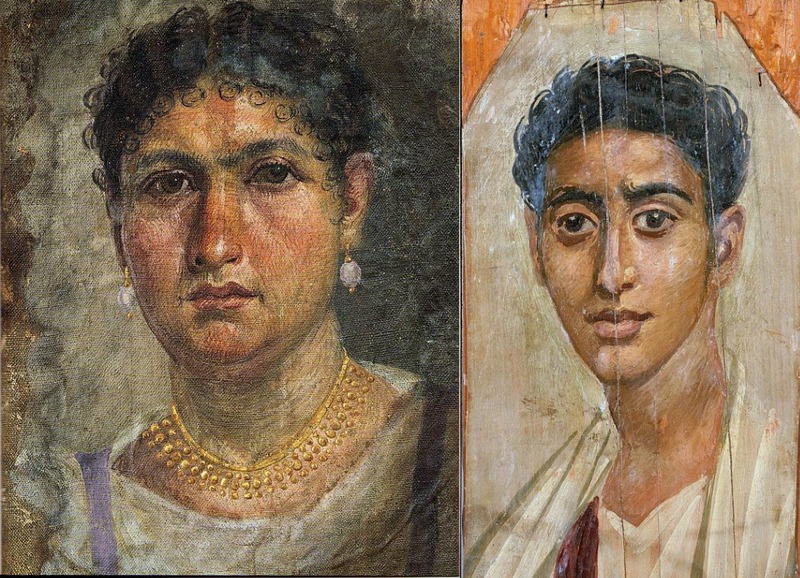 His initial disappointment soon turned into excitement when he discovered a mummified body with a “beautifully drawn head of a girl, in soft grey tints, entirely classical in its style and mode.” Over the course of several months, Petrie recovered about eighty beautifully drawn portraits. 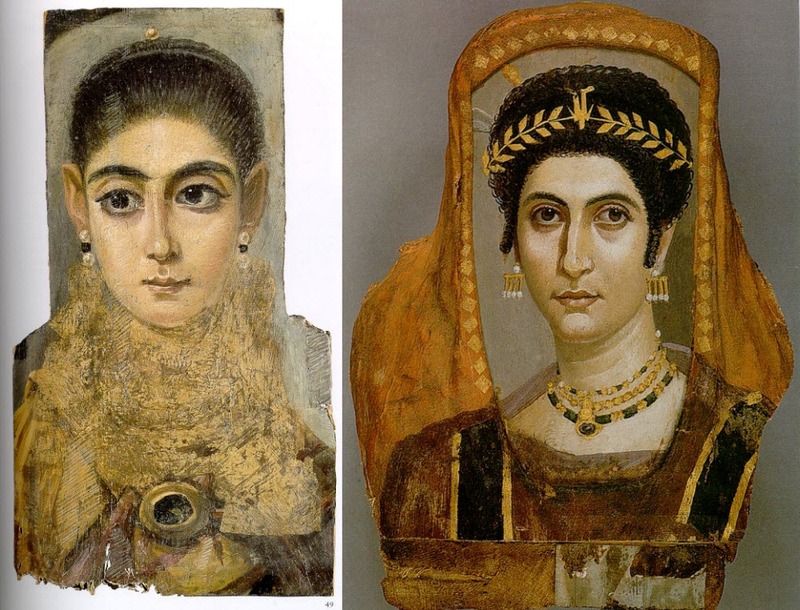 Placing a painted portrait on the face of a mummy, or mummification itself was not common in the Greco-Roman world, where cremation and burial was preferred. But Fayuum was a melting point of cultures. 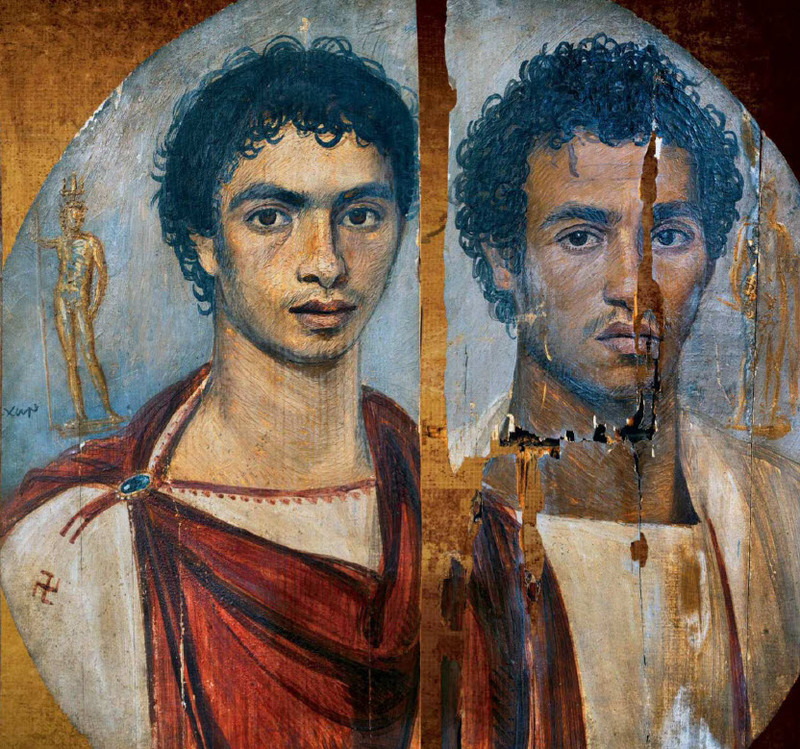 The fertile oasis drew people from many different backgrounds leading to a multicultural population of Egyptians, Greeks, Romans, Syrians, Libyans and others. The intermixing of culture is fairly evident from the portraits. For example, although those depicted were native Egyptians they all had hairstyles, clothing and jewelry influenced by Roman fashion. Women and children are often depicted wearing valuable ornaments and fine garments, men often wearing specific and elaborate outfits. Inscription of names and professions, on the other hand, were made in Greek. 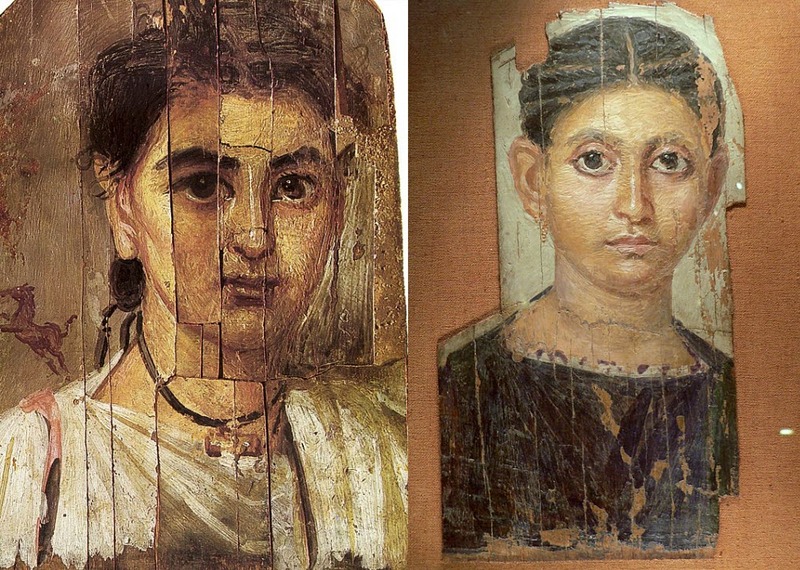 The tradition of painting mummy portraits came to an end in the 4th century. Although the reasons are not clear, historians believe that the rise in Christianity may have lead to a general drop in interest for ancient religions and practices. Today, there are nearly a thousand of these portraits held in museum collections all around the world from Egypt to London to Los Angeles.